In this series of features Nintendo Life writers will share thoughts on their most memorable games of 2017. This first article by Dave Letcavage focuses on The Legend of Zelda: Breath of the Wild on both Switch and Wii U. Later entries will also focus on lesser known games that have entertained and enthralled us this year. Since Ocarina of Time, one could assert that The Legend of Zelda series has relied too heavily on tonal shifts and gameplay gimmicks – as opposed to genuine reinvention – to differentiate each instalment from its predecessor. But now, 19 long years later, Nintendo has finally flipped the script and redefined what it means to be a Zelda game. While the thought of such a monumental shakeup may sound scary, the reality is that The Legend of Zelda: Breath of the Wild is not just a great game; in my opinion, it’s arguably the most ambitious, innovative AAA Nintendo game since the original Metroid Prime. Providing players with the ability to climb and scale nearly every surface, structure and obstacle is a liberating approach to open-world design, not unlike swinging through the streets of NYC as Spider-Man or grinding/dashing about the world of the Xbox One's Sunset Overdrive. 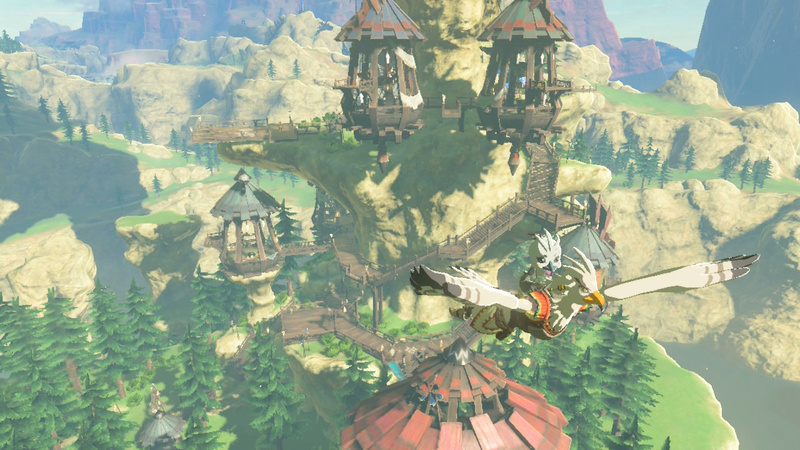 Climbing isn’t exactly as exhilarating as traversal in those games, but Link’s glider – which allows you to gracefully descend from dangerous heights and soar great distances – makes up for any sluggish bouts of climbing. Once Link’s back is to the tutorial area, the Great Plateau, it’s up to you to decide where you want to go next. Navigating the world is a puzzle in and of itself, one that stimulates and rewards for dozens and dozens of hours before it ever threatens to become stale. That’s because Hyrule is such a vast, dynamic, multilayered place to explore, filled with deadly enemies, environmental hazards, organically-positioned secrets, and no shortage of brain teasers. What’s more, this is a world that reacts to your presence and instigation in innumerable ways, unlike any other open-world game before it. Link’s “utility belt” of tools, weapons, and abilities create many avenues to go about accomplishing whatever it is you aim to do. You can manipulate metallic objects, fool around with stasis, set flammable materials ablaze, and much, much more. Because of this, experimentation is encouraged, rewarded, and incredibly fulfilling. Meaningful discoveries and “ah-ha!” moments are in abundance, which makes thorough exploration an irresistible proposition; rarely will you travel to a specific destination without being led astray by your curiosities. While the idea of virtually endless distractions may not sound conducive to story progress, it’s in these impromptu deviations that the real magic occurs. Because you make the decision to investigate, or because you notice something suspicious within the environment, there’s a unique sense of ownership and accomplishment attached to your discoveries and the puzzles you solve. It’s a sensation that open-world games – and video games in general – rarely afford the player. As I played through the game on the Switch, my wife played the Wii U version on the GamePad. We discussed our progress and revelations frequently, and very rarely did we know precisely what the other person was talking about. Even after I spent 80 hours in Hyrule, my wife was mentioning NPC encounters and world details that were alien to me. What’s more, in many cases we learned that we overcame challenges in completely different ways. And that’s really Breath of the Wild’s greatest achievement – it’s able to make chunks of your experience feel exclusive to you and you alone. While some players will lament the absence of traditional themed dungeons, most will find the 120 shrines (which are essentially bite-sized dungeons) and four primary dungeons (referred to as Divine Beasts) to be more-than-adequate replacements. These can be tackled in any order you desire on your journey to vanquish Ganon from Hyrule Castle, and you can do as many or as few as you want. You don’t level up attributes as you would in a traditional RPG, but through these efforts you will obtain more hearts, expand your stamina meter, gain new powers, and earn more resilient gear. It fits into the open-world, freedom-focused approach almost perfectly. But Breath of the Wild isn’t fault-free. I like the fact that weapons break and inspire off-the-cuff battle strategies; I just wish they’d break a little less often. I like the fact that rain causes you to spontaneously reassess your agenda; I just wish rain would roll in with less frequency. I like that stamina factors into how and what you climb; I just wish it didn't have as much of an impact on running. These things can add up and will annoy on occasion, but thankfully they’re relatively minor and easy enough to brush off in the grand scheme of things. While the usual Zelda formula has been upended, Breath of the Wild retains the essence of the series. This is how you revitalize a franchise. This is how you properly follow up Ocarina of Time (even if it’s 19 years and numerous instalments later). This is the new benchmark for open-world design. It’s by no means a perfect game, but it’s most definitely a masterpiece – as well as an assurance that Nintendo has plenty of creativity and ambition left in the tank to deliver experiences that can impress and stimulate our imaginations in a way few other publishers and developers can. Pardon such a cliched phrase, but it has to be said: What a breath of fresh air. Throughout the years Dave has sworn that the SNES is the queen of his castle, although as of late, he's been sneaking off and spending an obsessive amount of time locked away with his Switch. It was my most anticipated game for years and still managed to blow away my expectations. Admittedly though, it might only be my third favourite Switch game this year (behind Splatoon 2 and Xenoblade Chronicles 2). That's just a testament to how good a year it was. Such an awesome gameplay experience. I won't soon forget the feeling when my Wii U version finally finished downloading and I started my Journey. The first couple of cut scenes and the journey to Kakariko village was all it took for me to be glued to this game for almost the entire year. I was kind of disappointed by this game. It just didn't feel like a Zelda game to me. By doing away with like 50% of what makes a Zelda game a Zelda game, they ruined 75% of the magic for me. It just felt like a standard open world game with some enjoyable but mostly pretty simple puzzles, a lackluster story, characters that are so forgettable that I only remember a few of their names, sidequests that are no better than the filler sidequests in any bad MMO, a world with very few unique things to find and was extremely repetitive to explore, music that was mostly just a couple seconds of a piano playing here and there, poor enemy variety, etc. On top of all that, the interactivity with the world and the survival aspects got way overhyped. I only suffered from temperature maybe 4 times in the game, only had to cut down a tree once or twice, and generally never had to do much to the world outside of throwing metal objects on bad guys once in a while. The only thing that really played a part was having to cook and eat food, which was fine, but got really tedious after a while. It was enjoyable, and I think it was more or less worth buying at full price, but the most memorable game of 2017, it was not. The first 20 hours were very memorable, but beyond that it was mostly all the same. I get why Nintendo fans thought it was incredible because Nintendo consoles don't get many open world games, but as someone who has played a fair amount of them on other platforms, I wasn't very blown away. I've seen a lot of what this game has to offer before, and it suffers from almost all of the problems that are common in the open world genre. In my opinion, it suffers a good amount from Open World Syndrome. @SimplyCinnamon53 That's what indies are for. Give Ittle Dew 2 a try, or the newly released Blossom Tales. Old school Zelda experiences through and through. I'd like to see more of the open world approach done with a stronger story. BotW is a terrific foundation they can now build upon. I've said this before, but the way the game eschews linear, scripted sequences (even if you arrive at them in a non-linear manner) for the most part in favor of survival, discovery, and creativity reminds me more of Minecraft than it does Skyrim, despite the superficial similarities BotW might share with the latter. It's a magical, constantly engaging experience that kept me in a state of gaming bliss for weeks after I got my Switch. Definitely my favorite game of 2017, and a really interesting new foundation for the series going forward. I enjoyed it a lot, but I feel like I cheesed my way around the second half of the game. Once you bought the appropriate clothes, the whole cooking as survival aspect is completely gone. That’s a shame, really. Wind Waker has been my favorite Zelda game since the Gamecube days. Now that I've let BOTW settle into a memory, it's taken over the top spot for me. I anticipate revisiting BOTW from time to time for years. It's a beautiful world to immerse into. @KirbyTheVampire Yeah I agree. Even just the small things I miss like hearing the great fairy fountain theme at the title screen, and I’m one of those weirdos that like using my own name instead of link. And I agree the puzzles were very lack luster. Hopefully the next one is better. I still contend BotW was good, not great. The framework for a great game is there, but it wasn’t executed well. One highlight was Hyrule Castle, I loved the way it was designed and it felt like a real place. BotW needed more of places like that to explore along with caves etc. and way fewer shrines. I love Breath of the Wild. I admire Nintendo for doing so many new things in a series which did the same thing for longer than 30 years. BotW unseated Ocarina as my all time favorite game. 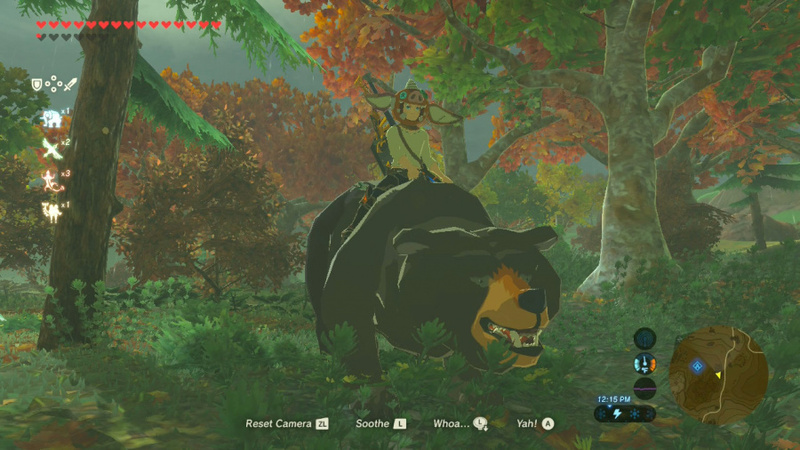 I am currently replaying the game in Master Mode and loving every second of it once again. Btw, is there any Option to Enlarge the Heart image size, because it looks too small in my eyes ? I almost can't read the Heart meter. I tried hard to like BotW, but it wasn't for me. My wife managed to finish it, but she didn't like it either and struggled to find the patience to complete the game. I have no interest in revisiting it. @KirbyTheVampire is correct: there are far better open world games on other platforms. Calling it Zelda doesn't make it a great Zelda game. It's the worst brand of Zelda that has ever existed because it shares so little in common with its predecessors. I would liken it to putting on the Link skin in Skyrim. The story and side quests failed to engage; cooking was tedious and lacked a recipe book or better interface; mobs were redundant; weapons broke too easily which hurt the combat experience; mounts were more trouble than they were worth to manage; the world was big but a little too big to feel either familiar or interesting enough to walk around endlessly for long stretches; shrines were plentiful but repetitive; for the largest Zelda world ever created, there's a serious lack of dungeons. Virtually every part of this game frustrates and feels like micro management, not an adventurous, engaging fantasy romp. After 50 hours or so, I gave up. It just wasn't fun. Sorry. Others will disagree and that's fine. We're all looking for different things in our gaming experiences, and Zelda: BotW failed to interest me. Worst of all, it never really felt like Zelda to me. It felt like I was playing a mediocre open world title with a Zelda skin. It's a super awesome open-world game, but not a very good Zelda game. I remember playing BotW for about 120 hours, completing all the shrines, and then just before going through the final battle with Calamity Ganon, I went back to finish Twilight Princess HD, which is also down to the final dungeon and fight with Ganon. I got a bit disoriented for the first few minutes but after relearning the moves and going through the dungeon and fighting Ganon (I already finished it before on Wii), I found that TP is a better Zelda game. I suddenly missed the cool dungeon design and all the other traditional tropes of a Zelda game. I wish BotW was like that. All the freedom that the game gives just makes it move away from what a good Zelda game should be. I hope the next Zelda game brings back the classic Zelda gameplay and meld it with the new open world environment. For me, Breath of the Wild was a decently fun but mediocre game. In the new year I'd like to find time to replay it and see if my stance changes. Obviously comparing it to other open world games I played this year caused me to want/expect similar things from Breath of the Wild that simply aren't there. So I guess I'll see if Breath of the Wild actually offers a different kind of experience, or if it really is as shallow as my first experience with it. @KirbyTheVampire For the most part I agree with you. Especially regarding the first 20 hours. By then I was disenchanted with the contextless puzzle solving of the shrines (couldn't these have been integrated into the world and lore better please?). I had a great time when I first started, and I loved some of the emergent gameplay, but it wasn't long before BotW felt wide, but shallow. @Mr_Zurkon 100% with you. There were a couple places that felt well developed, but others just felt...empty, lackluster. A couple traditional Zelda dungeons, even if they were only side quests, would have elevated it in my opinion. One problem I think I'll have long term with BotW is that the magic of that first playthrough is impossible to repeat. That feeling of wide but shallow has been magnified every time I sit down to replay it, and I haven't yet beaten the game a second time. Plus the conclusive boss fight was extremely dissatisfying for me. @Fingeldor Yeah, I agree. I feel like saying it's Skyrim with a Zelda skin is almost being too kind to it, though. Even though Skyrim is kind of dated and clunky in the gameplay department, at least it had a genuinely interesting world with unique secrets at every corner, and exploring it felt like pure adventure, not to mention the sidequests that aren't just standard MMO filler and the extremely deep lore and whatnot. It's a very different zelda, but it's great though. To me wind waker is the best one of the more zelda-ish zelda's. Loved it more than horizon zero dawn which was awesome too and a bit similar. I was pretty burnt out on gaming in general when this game came out and because of that I wasn't too eager to go out and buy it but boy am I glad I did. It reinvigorated my love for gaming and I truly think it is one of the greatest ganes I have ever played. My only complaint is that I bought it on my Wii U when I would have preferred the superior Switch version, but I didn't think I wanted a Switch at the time. This game really defines what open world gaming is all about, in my opinion. I loved every moment of this game, and I almost made it my game of the year, but...I had to give that to Samus Returns for being the comeback I've been waiting years for and for being a great game in its own right. It's a very good game but I won't remember much of it a year from now, nothing really stuck out and it doesn't feel like I've played a Zelda game. I've read about this reinvention many times but I feel it's very over exaggerated and to say nothing's changed since Ocarina really downplays both Majoras Mask and Wind Waker, indeed many of the gameplay elements in this started in Wind Waker. This game feels like a missed opportunity for me and it badly missed having some dungeons and more imaginative bosses. Think of all the gameplay possibilities spread across a sprawling dungeon and these mechanics as those mechanics really are spectacular but too much was disposed of needlessly. I'm genuinely surprise how many people didn't like it! I find myself going back to Zelda when there is nothing to do. This is one of the few games that is difficult enough to gave a great sense of achievement but not difficult enough to need to resort to google. I've been google free on this one all year, still haven't found all the shrines or the 900 korok seeds, but I don't care because it's fun & peaceful. BOTW is just an amazing game. Nintendo gave the series a new body, but kept the soul & spirit in tact. I hope they continue in this direction for the next game! It truly is a masterpiece , and anyone that wants to come out and say otherwise has, unfortunately for them , missed the magic that everyone else captured in playing it, in my humble opinion. I have not had the same sense of awe from a game since final fantasy 7 in 1997 when I was infact 7. Wow, I'm glad I'm not the only one who feels like this. Oftentimes whenever I express my personal displeasure on gaming forums, I get slayed. I agree with everything you said. And I'll add one more thing: Zelda games are in the adventure genre. And a big part of the adventure, for me, is the game keeping a reasonable focus on the purpose of the adventure - a.k.a. the main story. As I explored and tried to get the full experience of everything in the game, it felt like over 90% of the time was spent just doing random things unrelated to the storyline - like shrines, endless climbing, and farming for materials (and just exploring in general). And that's not an exaggeration, based on the amount of time I put into the game compared to the amount of time spent on dungeons and the limited events leading up to them. To me, I was just doing things for the sake of doing things - not because they had a relevance to the main purpose of the adventure, as was the case with previous Zelda games. (And I've played them all.) 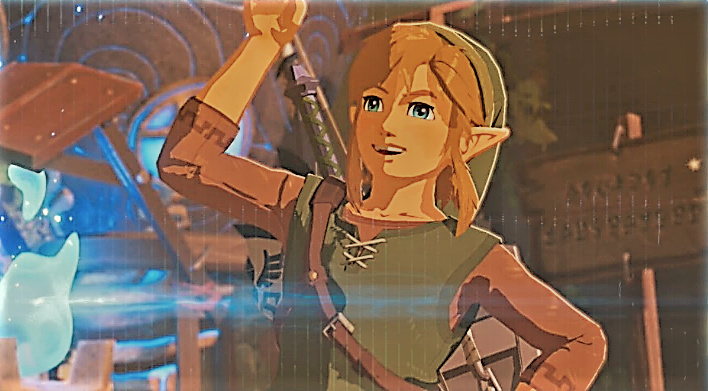 So based on what I considered to be a key part of the series' essence - the engrossing story, and a reasonable amount of focus on it - I most definitely disagree with the article when it said: "Breath of the Wild retains the essence of the series." It's funny that you should compare it to Minecraft. My niece plays Minecraft all the time, and while playing BotW, she constantly pointed out things that were identical to Minecraft in it, often joking that BotW stole this and that from the game. We eventually started calling it Zelda: Minecraft Edition, lol. Oh, and I wanted to mention one last thing, with regard to Link's inhuman climbing ability in the game. As I watched my brother easily scale a cliff that was made of sheer ice and so steep that it sometimes sloped backward, I found myself wishing that the game had explained that ability in some way - maybe having it be something gained from an early shrine, like Magnesis or Stasis were. Because as it stands, doesn't this kind of shatter with complete triviality all the climbing limitations (like only being able to climb where there were vines, for instance) Link has had in previous games? To me, it would be like if, in Mario Odyssey, Mario had been able to jump and then jump again in mid-air to traverse obstacles - only without Cappy, so without any explanation as to how Mario could magically now do this. Anyway, this is apparently the game that almost everyone wanted, so Nintendo was very smart to make it like this. It's just not for me. Since it didn't really feel like a Zelda game to me, it's understandably far down on my list of favorite Zeldas. @KirbyTheVampire I totally agree. I think it's still a great game, but I also think it was overrated for being "open-world". There have been plenty of open-world titles that did what Breath of the Wild did and in some cases even better. Look at games like the Witcher, Red Dead Redemption, Skyrim, Fallout, and even Assassin's Creed. Those titles may not have had as big of playing fields, but they were conceptually the same idea as Breath of the Wild. In fact, I'd argue they had much more interactivity and side-quests. Yeah, there are a ton of shrines, but they got tedious to me. The world may be huge in Breath of the Wild, but I'd argue it's the least varied world in any 3D Zelda to date. Just grasslands with some mountains and valleys. Exploring it is fun for a while, but after 15 hours I was pretty done with it and just wanted a more involved story and proper dungeons. To make things clear, I still like Breath of the Wild. I think it might seem like I hate it because this is probably my 5th comment now bashing on the game. On the positives, I liked the art style and approach to mix the formula up! @Rocky2418 I've never cared much for the "creative" aspects of Minecraft, but I always felt like there was a great explorative adventure game hidden somewhere in the survival mode. BotW feels like Nintendo took the explorative adventure aspects of that game, elaborated further on the interactivity of the open world (dynamic weather systems that change how you play the game; complex physics systems; etc. ), added a ton of AAA polish, and made a new sort of open world game out of it. Certainly something very different from the standard Assassin's Creed/Fallout/Witcher stuff that people are used to. All the edgy contrarians in the comments here are adorable. Definitely different from previous titles but Windwaker remains my favourite, yet this game was a masterpiece. I had been hoping for a game like this for some time and Nintendo delivered. The Zelda formula was getting stale and this helped usher it into a new era. Going back to the old formula would be a huge step backwards. Of course taking the best of both would be a good idea. I would keep the open world and some survival aspects plus the free roaming and non linear aspect; yet traditional dungeons and heavily revamped weapon durability system (or none at all) should also be included. Yet not since Windwaker did I truly feel I was on a grand adventure. Liked it a lot. I can understand that some people didn't like it though. I played most past and recent open world games and, even though BoTW suffers from the same problems of every open world, it also give the player a sense of freedom that I never felt before. @Abes3 I'm totally with you on Windwaker, I loved that game from the outset. And BotW is definitely fun and peaceful. In my case, it's not that I dislike the game, quite the opposite actually, I liked it a lot. But I don't think it was perfect, I don't think it was the greatest game ever made, and I don't think it is above criticism. @Powerballad I had that sense of wonder when I played it the first time, but it didn't hold up at all on a second playthrough. 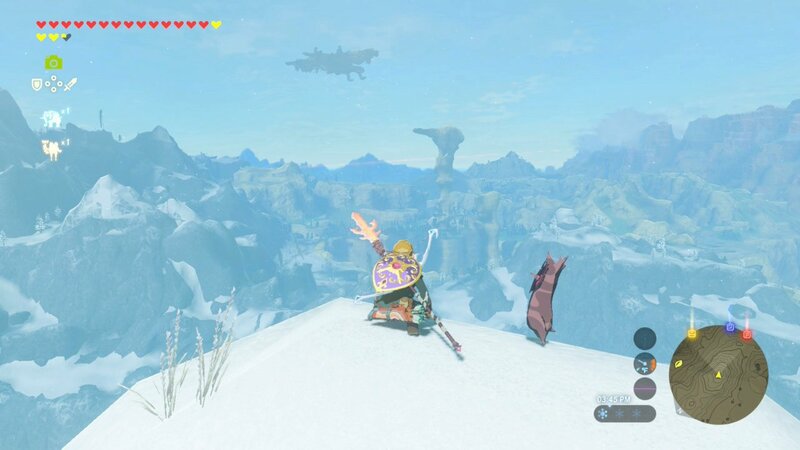 @Mgene15 - I spent 20 minutes just gazing at the Great Plateau from the cliff outside the Shrine of Resurrection when I first emerged. My favorite gaming moment in 33 years of gaming. I admire your dedication to BOTW. That was the original formula. It's funny, so many view BOTW as a shakeup but I still see it as a return to its roots. Perhaps because I played LoZ (and 3d dot heroes lolol) later after I'd been steeped in the zelda logic and design that I feel more of LOZ in BOTW, not skyrim nor anything else. It is strange to me that people try to compare the game to something else when to me...it feels like a Zelda game...the first one. In many ways I feel like this is Nintendo's 3d dot heroes. While not a 1 to 1 this is LOZ for the 2017 tech. I wonder if that means that BOTW isn't innovative (relatively speaking) or that LOZ was that far beyond its time? I actually have the same sense of longing in both games. both worlds to me feel huge but under populated (even if it makes total sense in the narrative) and it feels like this canvas that that isn't complete...even though I very well understand that ganon is like paint thinner, culling Hyrule to a shadow of itself. I want to see the Hyrule underneath BOTW (and I felt the same playing LOZ) because both games do a great job imparting a sense of desolate hope, survival within ruin. @SlimeKnight It's pretty sad when you can't have a dissenting opinion without being called an edgy contrarian. @KirbyTheVampire Then don't smugly and arrogantly try to pass off your minority opinion as authoritative and imply that anyone who likes a universally acclaimed masterpiece is wrong and an idiot and hasn't played other open world games simply because YOU didn't get it. That may help, honey. I've played BOTW for more hours than I'd like to mention. That being said, it's nowhere near the top of my favorite Zelda games. I've enjoyed it thoroughly and it's a good game but, it's not really a Zelda game. It's really quite a shallow open-world romp. The enemies are all the same. Each divine beast is just the same "Boss" fight over again. I feel like they were really mid bosses. The game as a whole feels like a Beta, missing all the real Zelda magic. I need dungeons, lore, memorable characters, reasons to care about playing the game. The weapons breaking was far too tedious and sucked alot of the fun out of the game. Exploring, climbing was far too cumbersome. Overall the game just lacks all of that Zelda magic. For the first time ever, I will probably read reviews on the next "Zelda" game before I buy it. Especially if it's in the vein of BOTW. 1. Breath of the Wild is an outstanding game. One that the majority of Switch owners have little to no reason to not play. 2. Everything good about it has been said and resaid and said again enough at this point. We know. And even those who don't know have probably heard it all anyway. It's actually started generating a lot of backlash from people sick of hearing it. So let's not taint the greatness, okay? @SlimeKnight You've just done a very large number of false accusations. And if you're talking about my comment about a lot of Nintendo fans loving the game because they're unfamiliar with the open world genre, I still stand by that comment. A lot of Nintendo fans act like things that were done in BotW that have been done many, many times in other open world games were the most insane new experience they've ever had, and I think a lot of that stems from the lack of open world games on Nintendo consoles. There's absolutely nothing wrong with that, it's just an observation. I'm not pretending I'm all high and mighty because I've played more open world games than most Nintendo-only players. Don't be ridiculous. I don't care AT ALL what other people play. @KirbyTheVampire Again, cute with the "The Nintendo crowd only likes this game because they haven't played other open world games!" comments. I've played The Witcher 3 and AC and Skyrim and all the "greats", and from a gameplay perspective, BOTW s***s all over them. @KirbyTheVampire Gameplay wise,BOTW craps on all these open world games. But that's pretty much it. Everything else the other open world games do better. There's nothing memorable about BOTW just the freedom in an empty world. After a while I got bored with BOTW made me not nearly as invested as New Vegas/Skyrim or the Witcher 3 sure Zelda may have the better game play but thats doesnt count for anything if your game world is boring as dirt and empty ,not to mention the horrible weapon breaking system. @SlimeKnight Okay, I'll clarify. Some Nintendo fans thought it was a cool and exciting change of pace, largely because they haven't played many games like it, if any. A lot of other people liked it simply because they thought it was a fun game, even though they've played many open world games before. If that doesn't satisfy you, I don't know what will, and I quite frankly don't care. I have better things to do than micro-manage everything I say to avoid being screamed at and given a moral lecture over a video game that I don't even like that much by some stranger on the internet who doesn't know the first thing about what kind of person I am. Peace out. 200 hours we’ll spent so far, great game. Fantastic game that I’m still not finished with, 120 hours or so later. I’m very hopeful for the future of Zelda after Breath of the Wild. I am genuinely surprised by all the negative opinions of this game. It has been a very, very long time since I have ever had an experience like BotW. The world was so engrossing and mesmerizing to jump into. What really pulled me in was just how sad the story was. spoilers the good guys lost, and now Link has to pick up the pieces and carry on by himself. Rummaging through all the ruins really hits it home and let’s the player piece together what happened here. I mean sure, by Shrine 100 or so, I was just coasting through to get through them, but I never really got sick of them. I was fine without a real dungeon, but I think Nintendo will put them back properly to satisfy some of the fans. As for the weapons breaking, I liked the mechanic, but agree that they shouldn’t break so quickly. For me I was fine, cause I enjoyed staying on my toes and trying out different kinds of weapons as a result. Plus it gave me a good reason to seek out the Korok seeds. But out of respect that others had such an issue with it, weapons shouldn’t be so fragile. As for people complaining about the horses, other than that the horse should have followed you when fast traveling, I don’t understand the complaints. I’m playing through Skyrim on the Switch right now and I really appreciate the horse controlling mechanic and how perfectly the horse plays. Skyrim’s horse is so wonky and can behave erratically when you’re not riding it. I know it’s an old game, but I really appreciate the horses in Zelda as a result. I mean, to each their own I suppose, but I find it amazing how many people just didn’t like it. It’s not the first time I’ve played an open world game either, but this game really captured everything I could have wanted from an open world Zelda and then some. I have very similar feelings as you toward the game. Most of all when you said that one of the things you need are "reasons to care about playing the game." That hits the nail on the head, for me. After seeing a lot of the same types of stuff for 10, 20, 30, etc. hours, with extremely minimal focus on the whole point of the adventure (in terms of time spent on it by comparison), I simply had no vested interest anymore. To me, the game was saying: "Go out and spend lots and lots of time exploring and doing whatever. (And every once in a while, maybe do a little something contributes to the saving of Hyrule... Maybe... If you want...)"
That being said, as I said previously, a heck of a lot of people clearly love that sort of game - which I have no problem with. I mean, it's a video game. If another person loves a game that I don't like very much, why should that bother me? I never understand the animosity that so frequently pops up over something as trivial as individual likes and dislikes. In this case, the game was widely adored, so I and some others are merely in the minority. Not a big deal. If BotW wasn't a Zelda game, it would've been the best game for everyone. No one will say it's not the traditional Zelda, dungeons too small, no music, etc. Nintendo should've made this open world game as a new franchise with a brand new character. I 'd called it Mazedopekiyo. Got this game for Christmas. It's pretty fun so far. @NoxAeturnus I agree not the best game ever! If you asked me what the best game was I'd crumble under the pressure. Hell, Catherine on 360 blew me away at the time. (So weird). I would say it's up there with one of the greatest "Nintendo games". Mario karts are fun but they fade and are not memorable persè, but Zelda BOTW this game everyone will remember; love it or hate it. Which is why I think it won game of the year. This is the Game of the Year. It deserves ALL of the hype and praise! My son and I have been playing BoTW since we got the Switch back in June. It's genuinely one of those game that we will both look back on with great fondness as a fantastic shared experience. You wouldn't believe how many conversations we've had that started off "In Breath of the Wild..."
A great game but this year has had many. What will 2018 bring? I hope the next Zelda game goes back to the standard formula, but I also think it could bring in the open world feel of BotW. Twilight Princess was the largest Zelda game before BotW (I think), but what if it was even bigger? I don't get why we couldn't have just had a much larger 'normal' Zelda game. We'd have a great world to explore, we'd have lots of dungeons (in any order if you like), we'd have a hook shot, we'd have some linearity (which I like), we'd have NO weapons breaking every 5 minutes, we'd have an actual Zelda game. I see the "it's a good game but not a good Zelda game" -meme has gotten popular. I don't quite grasp it. You want a retread of the old games, only with newer hardware? I think the characters, musical and visual cues, locations and plot points go far and beyond to tie it into the Zelda universe. Different folks, different strokes. I was kinda left cold by A Link Between Worlds, so this reinvigorated my love for Zelda. Easily GOTY, might be game of the decade now that I think about it. I’m surprised at the comments as well. I thought it was great, different sure, but I’ve been losing interest in the old formula. This is the first game since Skyrim on XBox that I’ve invested huge amounts of time in. It still has twice the hours on my Switch than Stardew Valley and Skyrim. I would like a reimagining of Ocarina of Time in the future but still hope the next game is like Breath of the Wild. I loved BotW. It was my first Zelda game and yet for some reason felt so familiar and easy to get into at the start. Though as with other games I rushed the story and beat Ganon in 55hrs it's what I played after that which really shaped up Zelda's status as my all-time favorite game. I went around exploring places here and there, found some Koroks along the way. I kept on taking snapshots wherever could. There was no shortage of things to do in BotW. 9 months later and I still feel that Zelda is the game I loved the most. I don't regret a single of the 170+ hrs I put into the game. I even bought the DLC right when it came out and loved playing Trials of the Sword. In comparison, the second most played game for me was Splatoon with almost 50 hours played, more than three times less. I already feel that many years down the line, I'll still miss the fun I had exploring this place and that in Zelda and will always cherish the game that was my debut to the excellent Zelda series. Now if only there would be a BotW sequel on Switch... It would take a year or two wouldn't it? That's what happened with Majora's Mask o one can dream can they? @Abes3 My personal game of the year was Persona 5, but BotW deserves Nintendo game of the year for sure, though it’s not even in my top 5 Zeldas (Ocarina, Windwaker, Link to the Past, Majora’s Mask, Twilight Princess for me, and yes nostalgia plays a role in that list). There are just so many high quality Zelda games I think we’re just lucky to have had them all over the years and I can’t wait to see what they do next. 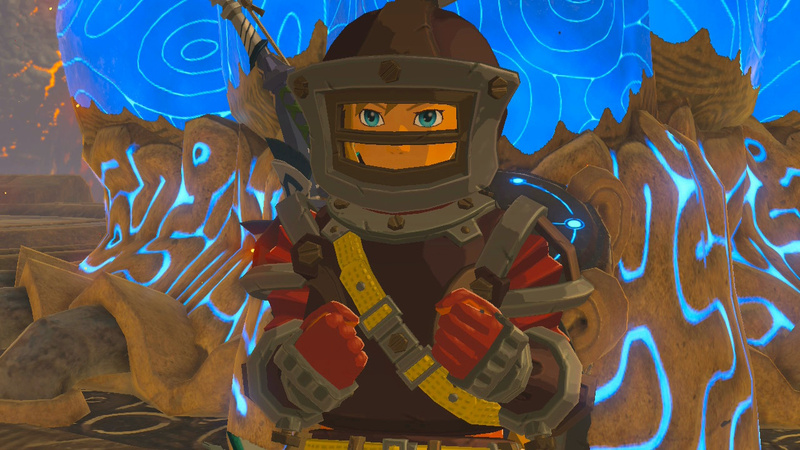 BotW does a lot of things really well, I think the foundation they laid has a lot of potential and I’d love to see them build on that rather than growing complacent because of the overwhelming praise. As for best game of all time...I hear ya on the pressure. I don’t think it’s fair to declare that of any game in its first year of release. Sometimes things that seem awesome in the moment fade over time. For me I’d have to pick a game I always come back to, but these things are always a personal choice. I never played Catherine but with the re-release coming to PS4 I’m strongly considering it. I really loved this game. I still boot this one up on occassion because I just love walking around - the visuals still amaze me and I jave 170 hours clocked. I do hope the next game combines the open world elements with classic elements - I like the idea of unlocking new areas with new gear. 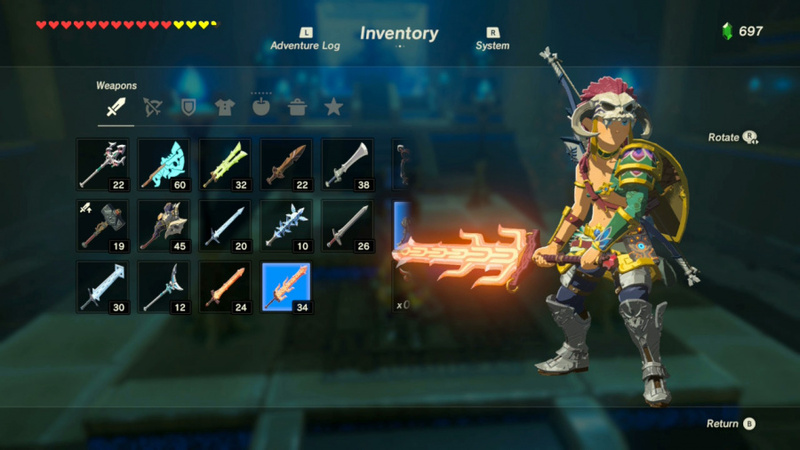 I wouldn’t lock progression behind having the items (I like theopen-ended progression of BotW), but using them for more hearts/stamina/special armor/diverse battles would make it more interesting. 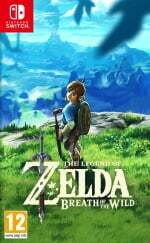 @SimplyCinnamon53 Return to the original formula is exactly what they did with BotW (Go try the original LoZ.) I for one am glad they did! Not the most replayable Zelda, but for me the best experience ever the first time through. Like was the case for someone else as well, it rekindled my love for games and I can't be thankful enough for that. I guess the story can be great or not depending on how you play. I'm curious and want to explore so I looked for all the story locations and got to experience all the background story, which was a cool & immersive way of telling the story I thought without being in your face. 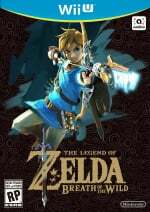 It gave some weight to the fact that most things took place 100 years ago and made it feel more like a "legend", plus tied in well with the desolate Hyrule and Link recovering his memory. I can see why some didn't particularly like the delivery, however. Also, wanted the world to have more interactive cities, like the one in Majora's Mask, but mainly more cool battle locations like Hyrule Castle and cooler more animal or human like bosses. I'm not a big fan of mechs/robots, and those bosses and dungeons were not "organic" enough for me.